Get your customers to pay using their Alipay accounts easily. Here’s an easy to understand video on the whole process. 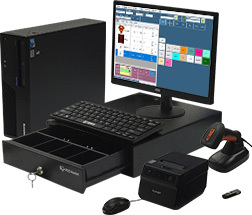 It’s simple and a great add-on to the wide range of payment options we have at our POS system. Watch our video tutorial to find out more about how to accept payments from your customer’s Alipay account. As the rest of the world turns East for more profit and productivity, we too encourage all our POS system users to learn how to add on this payment feature so you can cater to more of your customers payment preferences. Don’t miss out on any sales now! Adding the Alipay feature into your POS system is easy. If you are a new POS Market POS system user, the system should come with the Alipay feature. However should you be an existing POS Market POS system user and would like to add on the feature, all you need to do is give us a call and we will guide you via the Team Viewer system on how to add on that feature, so it is visible in your system. Put up signs that show your shop or restaurant accepts payment via Alipay. Place Alipay banners at the front entrance to attract customers that like that paying method into your store. Place Alipay stickers at the check out counter so that customers are aware that Alipay payment options are available at your store. Take your customer’s orders or once they are ready to make a payment and are at the check out counter, key in the products chosen and click ‘round up’. Once ‘round up’ is chosen, you can then choose the Alipay as a payment option. The Alipay QR code will then appear. Request that your customer opens up the Alipay app on their mobile phone, login if necessary and scan the QR code. During the payment or purchasing process, the Alipay payment option can be selected. The process needs participation from the customer as well. Participation comes in the form of the app on the customers mobile. The customer should login to their Alipay app, choose the scan button and scan the QR code visible on your POS system. Once that is done, all they need to do is TAP PAY NOW! The customer would have to complete the payment by keying in their password in their app. Once the customer keys in their password into the Alipay app on their mobile phone, the Payment Verification will happen. When that is confirmed on your customer’s app, this will reflect onto your POS system as Payment Received. For your convenience, the Payment Received will be displayed in the Payment Type Sales Report. This will further assist you with your profit and loss tracking and your monthly sales report making balance sheets, planning and other crucial business steps easier to track and make a conclusion.